This probe has a DS18B20 digital temperature IC inside a waterproof probe. It will give you a digital output that will vary depending on temperature. This module has a 40kHz ultrasonic transmitter and receiver pair mounted on the front of a small PCB along with the required control circuitry on the back. The module works by sending a short 40kHz square wave out and timing how long it takes to return to the module, you can then work out the distance it has traveled by knowing the speed of sound. 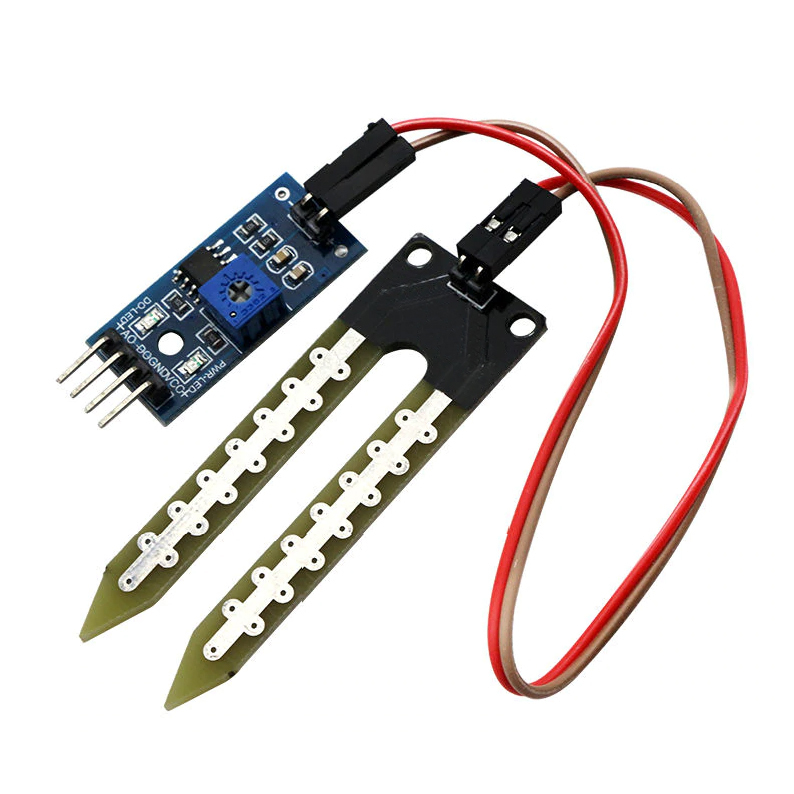 This module has a seperate 2 pronged moisture detector that is inserted into the soil and then connected to the comparitor board using the supplied link wires. It can give out a digital (High/Low) signal at a certain moisture level that can be set by adjusting the potentiometer on the board. There is also an analogue output to give you a more precise reading of the moisture level in the soil.